Marijuana Referral allows users to contribute to our content, via reviews. Please read the guidelines below before posting a review on our site. Inappropriate content: Reviews that include threats, harassment, lewdness, hate speech or any other display of bigotry will not be tolerated, and you will be banned. Conflicts of interest: Leave honest and valid reviews for companies that have provided services to you directly. Do not write reviews for your own business or employer, your friends’ or relatives’ business, or businesses in your networking group. Be objective, people! Promotional content: Content on your profile should be informative. Relevance: Please make sure your contributions are relevant and appropriate to the forum. Reviewing your local attorney should not include angry rants about marijuana laws, political opinions or your personal history with marijuana. Privacy: Don’t publicize other people’s private information, and please don’t post other people’s full names unless you’re referring to service providers who are commonly identified by their full names. 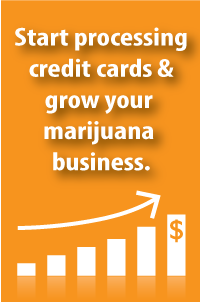 Our goal at Marijuana Referral is to connect cannabis industry experts with qualified, experienced, and knowledgeable resources that can grow your cannabusiness and are familiar with the unique industry and its ever changing laws and regulations. In support of our robust directory, we request that the information you provide is accurate, objective, and complete. Get the most out of your profile when you take time to provide quality, detailed, accurate and objective information in which to build your business bio. Welcome to MarijuanaReferral.com. “Marijuana Referral”, “our” or “we” applies to the Green Scene Network and its parent companies, subsidiaries, joint ventures and other corporate entities under common ownership. If at any time you do not want your information to be collected or shared, simply discontinue the use of Marijuana Referral’s services. Connect with you via newsletters and emails that promote our services, share information, etc. Marijuana Referral is not intended for use by minors. If you are under 18, please do not provide information or utilize our services. Our site does not knowingly collect personal information from minors. At any time all site users may choose to no longer receive marketing efforts communicated through Marijuana Referral and its affiliates via the “Unsubscribe” option clearly displayed in all email marketing efforts. However, service users may still receive non-promotional correspondence that communicate information regarding your account and our services. Fill out a request form or email contact@marijuanareferral.com to request changes to your profile. Your continued use of our Services indicates that you are aware of any modifications, and that you acknowledge and agree to be bound by the terms and conditions of the most recent Policy. Please contact us with any questions or comments about the information provided here. Each year California residents may inquire to receive a list of third parties who we have disclosed personal information provided. This must be a written request submitted via EMAIL. A valid California address must be included in the written request. Please allow up to thirty days for a response.